With Westech fence systems, you can let your imagination soar! Your idea of the perfect fence can become a reality, expressing your personality and adding beauty and value to your home. There’s no painting, no staining, no worries. Westech fences are virtually maintenance free and guaranteed to last a lifetime. 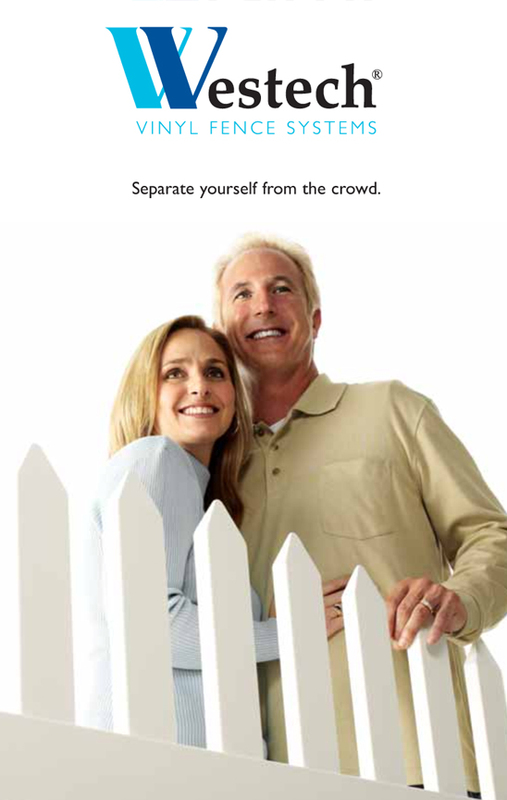 In fact, your Westech fence will not only exceed your expectations, but will, most likely, exceed your imagination. Separate yourself from the crowd today. Explore the possibilities and make a personal statement. With a Westech vinyl fence system. No splinters, staining or painting – EVER!